One thing is for sure, the holiday season for retailers is a period where you either make it or break it. So, the same goes for e-commerce owners and for this reason, they should employ the right marketing tactics to engage customers. Email marketing is the most effective tool for doing so. Data from previous years show that email marketing accounted for almost a quarter of online sales during holiday’s period. To help you out, we created this blog post with tips and info for making the most of your holiday email marketing strategy. Remove any subscribers that haven’t opened or click in your emails for a considerable amount of time. This will improve the deliverability of your emails and it will boost engagement. Check your email flows. Make sure that you don’t have triggered campaigns overlapping with holiday promotions. Stay on track with customer shifting behaviors and technology updates. Knowing your customers’ online behavior will allow you to plan your email strategy accordingly for boosting conversions and drive sales. Conversions from mobile devices have seen a tremendous increase over the last 2 years. Last year, 76% of Black Friday emails and 63% of Cyber Monday emails were opened from a mobile device. So, sending mobile-friendly emails to your customers is an absolute must this holiday season. That’s why here in ContactPigeon we offer you the Drag & Drop Email Editor. Creating a mobile friendly and responsive campaign with customizable elements is easier than ever! According to National Retail Federation, 47% of consumers said that free shipping was one of the most important factors of their purchase decision process. In addition, 85% of online shoppers said that they’re willing to wait up to 5 days for the delivery of their goods. In addition, 85% of online shoppers said that they’re willing to wait up to 5 days for the delivery of their goods. For retailers that have also a physical store presence, services like “Buy Online Pick Up In Store” are on the rise. Sending the right content at the right time is the key to increase engagement. Holiday is a hectic period for e-commerce owners and marketing teams. So, prioritize and plan, plan, plan. Determine timeframe for your email deliveries, create automated flows for different scenarios and make sure you’re way ahead! Why not test different subject lines for each holiday campaign? Having so many options for sending festive emails is a good opportunity to create an A/B split test to experiment your different approaches. Add emojis to your text, use words that are clever and sales driven. Don’t forget, of course, to send your customer’s greetings. Another option is to use a hard-selling approach, especially for blast out sales celebrations like Black Friday or Cyber Monday. Try placing the offer in front of the subject line to attract more open rates. 50% of companies feel they can increase interaction within email by increasing personalization. That’s why you should put your recepient’s name in the subject line or the body of your holiday email. A marketing automation platform will save you tons of time with this task. Moreover, if you’re a Bigcommerce customer you can use our own ContactPigeon marketing automation platform for free! Although you may want products to sell out many products, it is better to keep a minimum amount of Call to Action (or CTA) buttons. This will increase the click rate of your email so, make the copy of the CTA short and use bright colors in order to make it stand out. Using a button instead of text link will make the CTA easier to be clicked from mobile devices. So, here are our tips for defeating the Holiday blues. 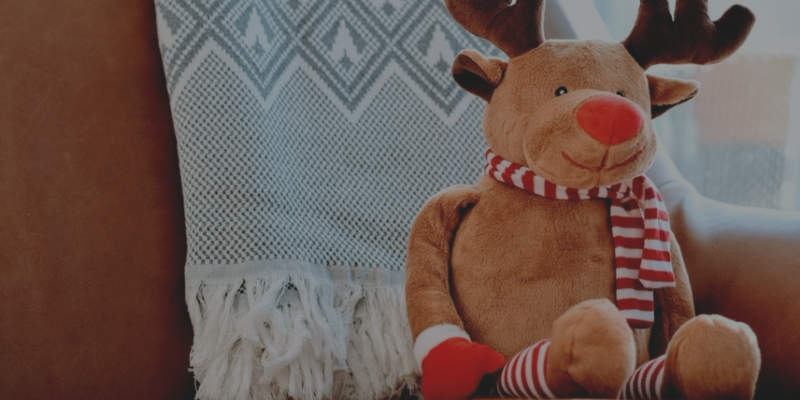 We hope that these tips will help you to create your own succesful holiday campaigns. The time of the season is approaching so, start planning your holiday email marketing strategy now!